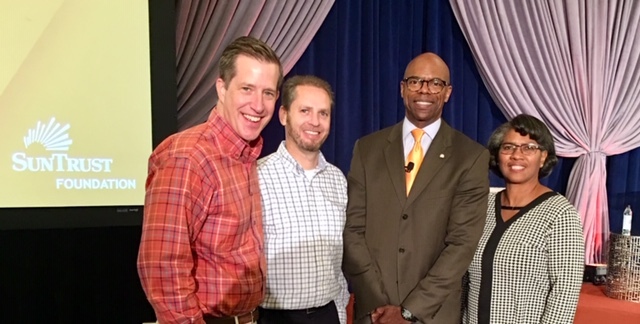 Pictured from left to right: Richard Reeve (Director of Financial Education, CCCS), John Wills (President, CCCS), Stan Little (President, SunTrust Foundation), and Stephanie Johnson (Community Development Manager, SunTrust Savannah). CCCS is happy to be recognized for our community work by the SunTrust Foundation. Thanks to the generous support, CCCS can continue to reach thousands of people each year through our counseling and education efforts. Read the press release below for more information.